Are you using the right tools? When the right tools don’t yet exist, we create them! PeacePraxis offers many resources to prevent bullying, teach communication and conflict resolution skills, and build emotional intelligence. For all our FREE Resources in one place, visit here. 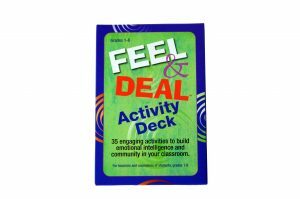 The Feel & Deal Activity Deck is a powerful tool to help students build their emotional intelligence. It includes 32 colorful facial expression cards, with feeling words in Spanish and English. Over 35 engaging activities help students identify and express their feelings, while building positive relationships with others. Designed using scientific knowledge of facial expressions, and with input from educators, counselors and kids. Purchase HERE. Contact PeacePraxis directly for bulk orders. 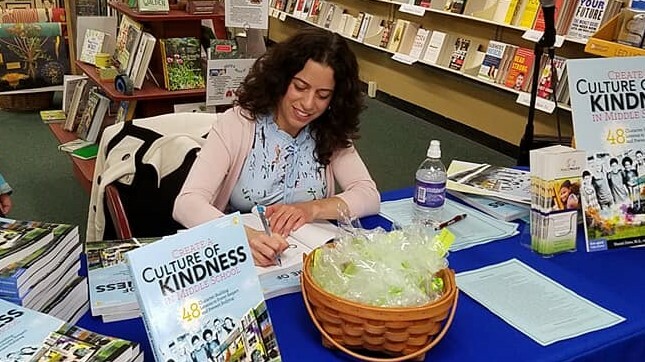 Create a Culture of Kindness in Middle School! Check out this blog post on cultivating empathy. Access the interview with Armin Brot. This survey instrument, designed for middle and high school students, was created in collaboration with Dr. Laura Roberts. It reliably measures three components of school climate: bullying behaviors, upstander efficacy and school connectedness. Results of the survey are used to “take the temperature” of your school climate and create an action plan for positive change. Clients can directly purchase the survey or contract with PeacePraxis to administer it and provide a comprehensive analysis and report. The S.T.A.R. (Stop, Think, Act, Review) Curriculum includes a teacher’s guide, six lessons, a school-wide implementation guide, and reproducibles. Through the S.T.A.R. 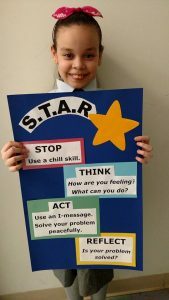 curriculum, students learn how to use chill skills to manage strong emotions, and positive communication skills to resolve interpersonal problems. The S.T.A.R. curriculum can be implemented school-wide for maximum impact. Clients who participate in the S.T.A.R. School-wide Training receive this excellent resource in order to implement the program. FREE Download: The S.T.A.R. Steps visual. This guide provides engaging activities and lesson plans for teaching students how to be “upstanders” in the face of intolerance or bullying. Clients who participate in the Upstander Skills Training from PeacePraxis receive this practical resource to further their work. If you’re looking for a particular resource, connect with us, and we’ll see how we can help.